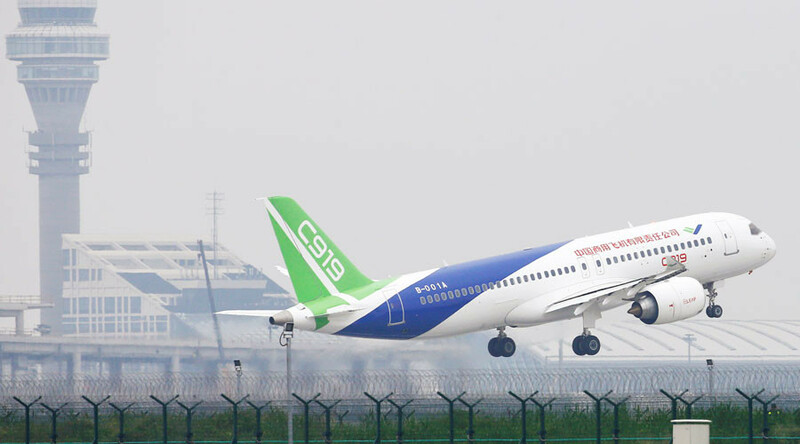 The new narrow-body twin-engine passenger jet took to the skies of Shanghai on Friday. 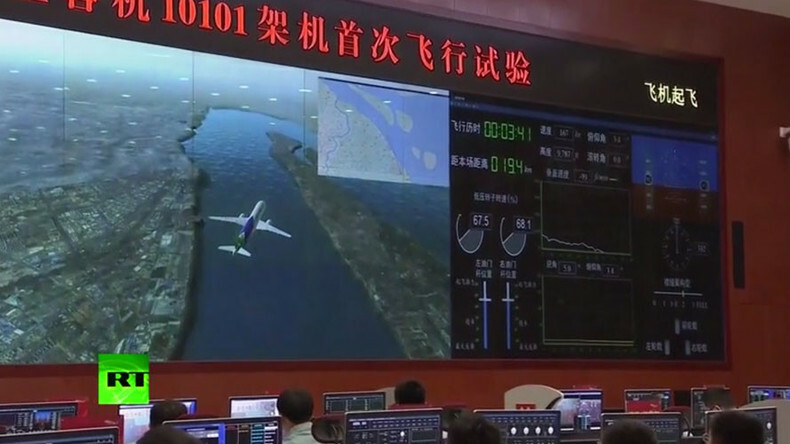 The maiden flight had been delayed at least twice since 2014 due to production issues, according to Reuters. The state-owned producer of the plane, Commercial Aircraft Corporation of China (COMAC), says there is a $2 trillion market for the new plane, which was first revealed last November. A total of 23 foreign and domestic customers have placed orders for 570 planes, the company says. Earlier this week, Russia’s Irkut MC-21 – a competitor in the same market – left the assembly line in preparation for its maiden flight later this month.